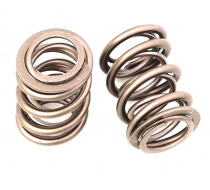 PAC Racing Springs has a history of providing leading technology in Motor-Sports and Aftermarket applications. The latest advancements in alloy and heat treating have allowed the PAC Racing Spring organization to achieve industry leading performance. 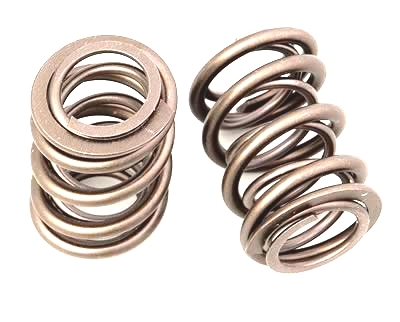 The 1200 Series Drag Racing Springs have the latest heat treating and alloy choice. With the addition of chamfering, polishing, nano-peening, and other fatigue and load loss enhancements, they provide features needed to withstand sportsman style racing. Outside Diameter of Inner Spring (in) -- 1.195 in. Inside Diameter of Middle Spring (in) -- 0.871 in. Spring Rate (lbs/in) -- 689 lbs./in. Spring pressure @ 2.200 Install Hieght -- 385 lbs. Spring pressure @ 1.200 Valve Open -- 1074 lbs.